The Timetable for the Computer-based Screening exercise is as indicated hereunder. 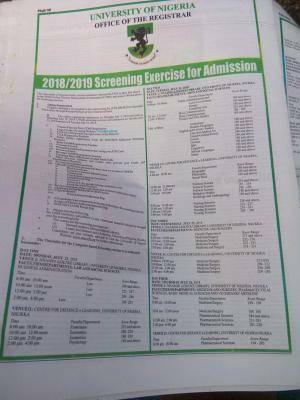 To help you prepare adequately fro the screening exercise, get the original Post-UTME past question from the school. Click here to get yours. Please note that Visually impaired candidates do not need to participate in the screening exercise.